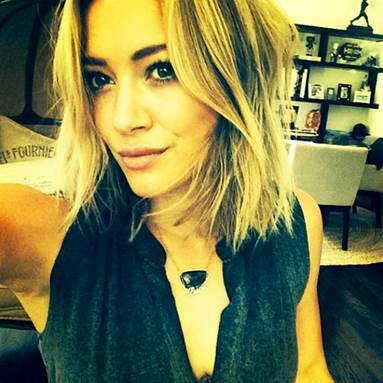 All Posts Tagged With: "Hilary Duff’s hair"
Suave Professionals Celebrity Stylist Marcus Francis chopped off three inches of Hilary Duff’s hair last week, creating a blunt “lob,” or long bob, that will be popping up on the scene this summer as the cut to flaunt during the warmer months. Check out the photos below to see the transformation in action! “The cut is slightly angled with a shorter length in the back than the front for a chic, edgy finish,” says Marcus. What should women ask for at the salon that want this cut? A long bob that hits the collarbone when hair is dry. It’s ever so slightly shorter in the back at a 25 degree angle, and has a more blunt cut on the ends.